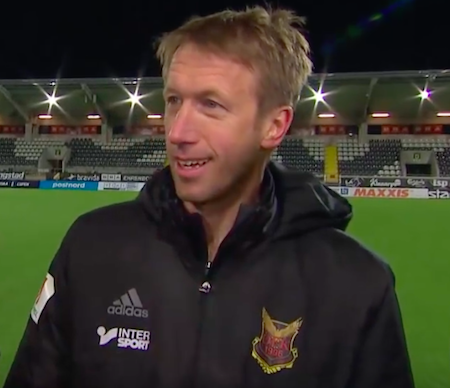 On Thursday Graham Potter will fly the flag for English managers in Europe when his Östersunds FK side face Turkish giants Galatasaray in Europa League qualifying. Potter was appointed by Ostersunds in 2011 and has guided the modest club from central Sweden to the most successful period in their short history. In 2015 Ostersunds won promotion to the top-flight Allsvenskan for the first time and last year they claimed their first major silverware in the Swedish Cup with a 4-1 victory over IFK Norrköping. The reward is a European debut against Galatasaray, whose decorated history in the competition includes lifting the UEFA Cup in 2000 when they beat Arsenal on penalties in the final. Potter, who featured for Stoke, Southampton and West Brom during his playing career, is under no illusions about the enormous challenge Ostersunds are now facing. Galatasaray may have lost several key players this summer, but manager Igor Tudor has been quick to find replacements. With only six weeks between the end of last season and the start of the new campaign, it has been a tight turnaround for the Turkish side. “We’ve scouted them as much as we can,” says Potter, who was linked to the managerial vacancy at Swansea last December. “They’re a team a bit in transition because they’ve lost a couple of players. Sneijder looks like he’s moving on, Podolski has gone (to Vissel Kobe), Bruma (to RB Leipzig), so they’ve got replacements for them in. The upheaval at Galatasaray follows a campaign in which they finished fourth in the Turkish Süper Lig, with former coach Jan Olde Riekerink sacked on Valentine’s Day following a run of poor form. The loss of Podolski, the club’s top scorer last season, along with talented winger Bruma, could hand Ostersunds an advantage ahead of Thursday’s home leg. The Swedish debutants are already 14 matches into the 2017 Allsvenskan and remain unbeaten on their own patch at the 8,466 capacity Jämtkraft Arena. “Of course, being midseason means you’re more into the competition mentality, but at the same time you have other areas to focus on,” adds Potter. Potter is firmly focused on causing an upset in Ostersunds’ second round qualifying tie, but whatever the outcome it has still been a historic year for a club that was only founded in 1996. “Excitement is probably an understatement,” he says. 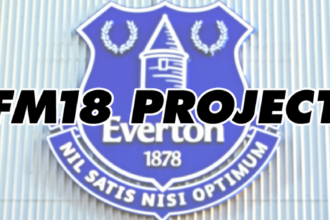 “If we zoom out on the history of our club, 2017 is an incredible, incredible year. It will be hard to beat. We had the Swedish Cup final in front of our own supporters and it was an emotional day. And now we have the Galatasaray game. Previous articleWill 2017 bring a Brazilian winner in the Copa Libertadores once again?